La Mirada, California, January 31, 2017 — Advanced Charging Technologies (ACT) has extended the capabilities of its BATTview battery monitors by adding data integration functionality between BATTview units and Quantum chargers. Data integration allows both Quantum chargers and BATTview units to optimize charge cycle communications in addition to scheduling and delivering precise equalization cycles and tracking charge cycle termination conditions. This allows for better overall diagnosis of charger and battery performance issues and demonstrates the future of smart devices for fleet asset, energy management and forklift battery charging technologies. ACT has deployed more than 3,000 BATTview units since the product launch in March 2016. “This stands as another major milestone for ACT after the successful launch of our Quantum battery charger product line. Our engineering team, led by Dr. Nasser Kutkut, has designed and developed one of the most advanced industrial battery monitoring devices in the industry today,” comments ACT CEO, Bob Istwan. BATTview battery monitors provide a cost-effective solution for monitoring industrial battery performance. Easy to install, each unit features an innovative combo probe with integrated battery temperature and water level sensors. 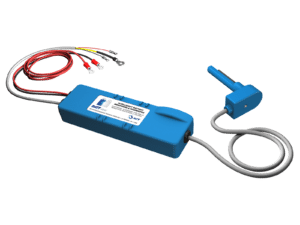 All BATTview units effectively measure critical battery parameters including voltage, current, electrolyte temperature, water level, AHR throughput, and state of charge (SOC). BATTview units also log and store operational data, including charge, use and idle cycles, daily usage data, aggregate charge and use AHRs, as well as warranted AHRs. Equipped with wireless communications, BATTview supports wireless cloud integration, as well as remote monitoring and control. Data is easily uploaded to ACT’s ACTview cloud application, where users can centrally manage all battery assets, analyze operational data, optimize battery and fleet performance, generate performance reports and troubleshoot battery issues. BATTview units also feature power line communication (PLC), which enables direct communication with Quantum battery chargers via charging cables and eliminates the need for more expensive connectors with auxiliary contacts. “One of the most unique capabilities of the new BATTview battery monitors is the remote firmware/software update, where we can push new updates from our network control center to all BATTview units in the field,” said Dr. Nasser Kutkut, Chief Technology Officer of ACT. “This allows ACT to add new functionalities to BATTview with minimal effort— ultimately transforming their industrial battery into smart industrial appliances,” added Dr. Kutkut. BATTview battery monitors are UL/cUL certified, meeting the most stringent ANSI/UL 583 standard for safety for electric battery powered industrial trucks. About ACT: Advanced Charging Technologies (ACT) is the recognized leader in integrated solutions for fleet asset, energy management and forklift battery charging technologies. With a comprehensive suite of smart industrial products and services, ACT is focused on integrating data to maximize utility and streamline battery charger management. Environment-adaptive and manageable from any device, ACT hardware and software solutions increase productivity, reduce fleet running cost, improve safety and lower greenhouse emissions. ACT’s portfolio of battery and charging solutions are sold and serviced exclusively through the Deka Agent Network Organization. Visit www.act-chargers.com for more.